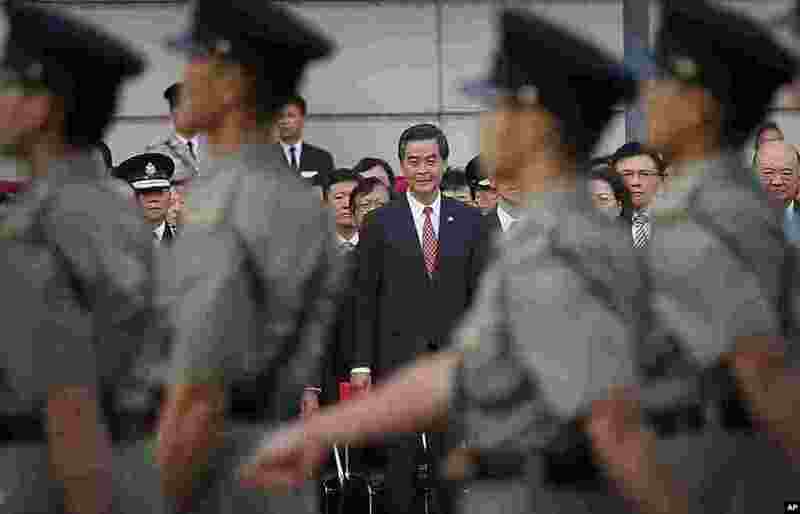 1 Hong Kong's Chief Executive Leung Chun-ying, center, watches as military personnel march during a flag-raising ceremony as thousands of protesters watching from behind police barricades yelled at him to step down in Hong Kong, Oct. 1, 2014. 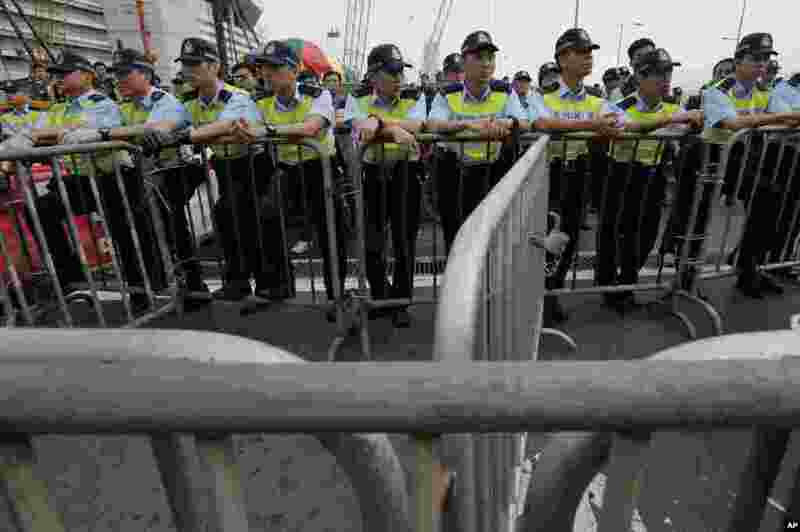 2 Police officers stand guard outside a flag-raising ceremony where Hong Kong's embattled leader attended a ceremony to mark China's National Day in Hong Kong, Oct. 1, 2014. 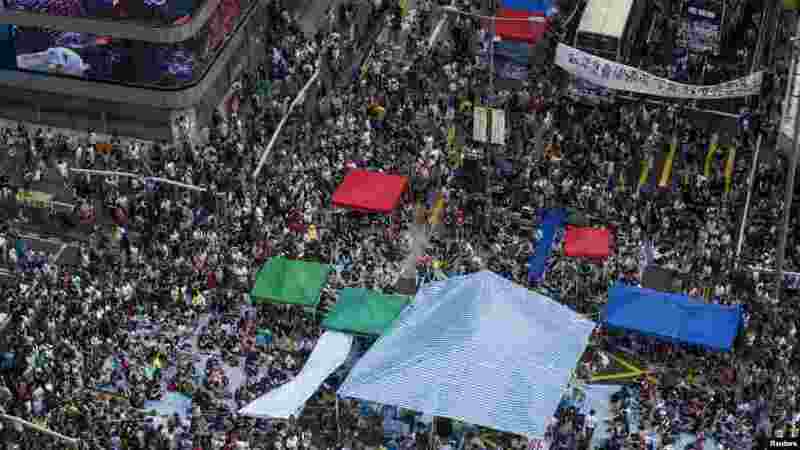 3 Buses covered with messages of support stop at a main street at Mongkok shopping district after thousands of protesters blocked the road in Hong Kong, Oct. 1, 2014. 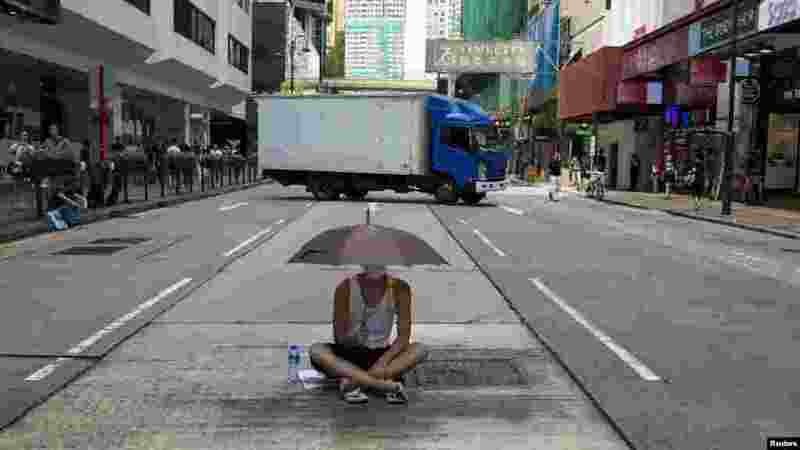 4 A protester sits under an umbrella as he attends a rally along a main street at Hong Kong's shopping district Tsim Sha Tsui, Oct. 1, 2014.